How do these holidays always sneak up on me?! I felt fully prepared when I bought my husband a lounge chair for Father’s Day four weeks ago. I brought it home only to find out it was broken and wouldn’t open up all the way. Back it went, since forgotten, and now I have nothing. 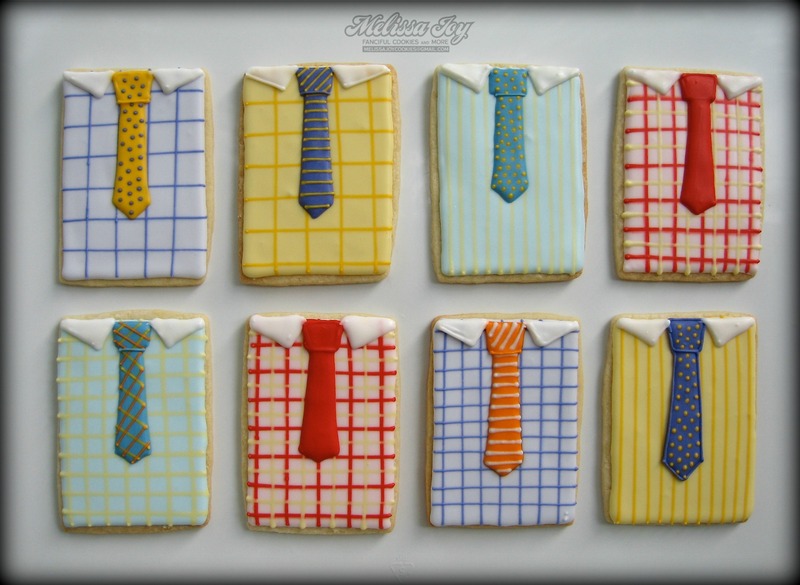 Not even these cookies, which I made last year. 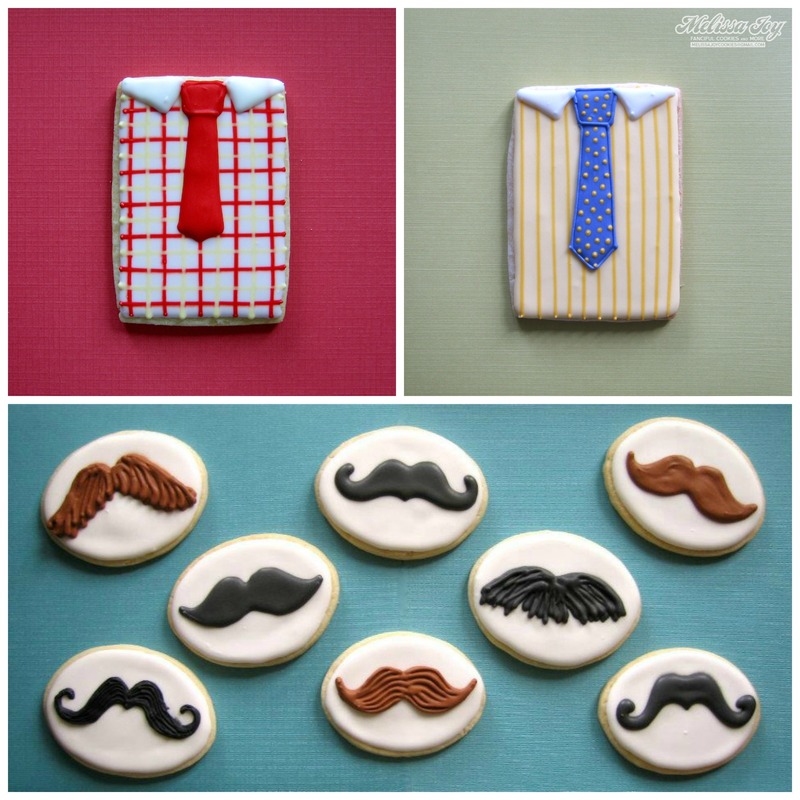 I remember I searched “mustaches” on Pinterest and got oodles of images to make these. I needed a guide since my husband doesn’t have a mustache. Nor does he wear a tie. At least not on a regular basis. Guess they would be more for my own dad, who sports both. Well, the mustache at least, but the ties not so much anymore. Why would you wear a tie when you’re retired? I had better get my act together, and fast, as the weekend quickly approaches. 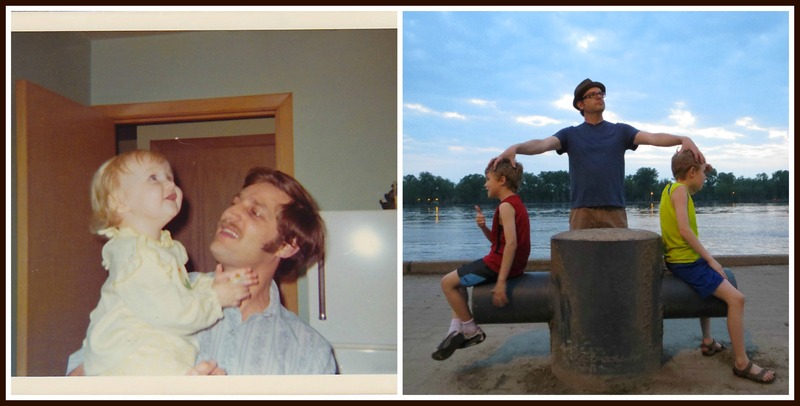 In the meantime, I can give some virtual love via this blog to my husband and my dad. Thanks for being swell at your job…for your handiness, work ethic, and continued foolishness. I love you and appreciate you both so very much! 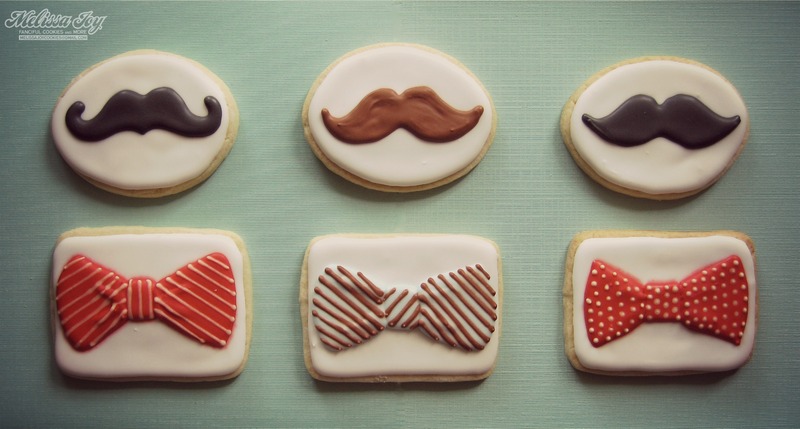 This entry was posted in Father's Day Cookies, For Fun Cookies and tagged father's day, father's day cookies, for dad, mustache cookies, mustaches, shirt and tie, shirt cookies, tie cookies. Bookmark the permalink. I like those shirts, and I like seeing your family pics! I called my stepmom today and said- “I just realized last night that Father’s Day is this weekend” and she said “And?”- “And that’s all I’ve got, I was kinda hoping you could help me!” She came through thank goodness, because he’s in Canada and Canada Post is a bear!